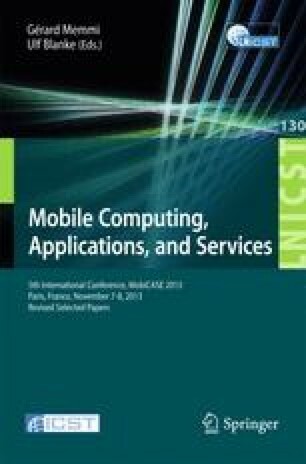 This paper presents a cloud infrastructure that allows users to create mobile applications to collect and visualize data. The system offers simple and intuitive interfaces to create Apps, without the need for any programming skill to develop them. The platform allows the collection of conventional data, such as numbers and text, and also non-conventional data, such as multimedia files, location information, barcodes, etc. The collected data can be shared among users on a social network, allowing Apps to extract intelligence from the collected data. The system is based on free software and can be accessed at the following address: http://maritaca.unifesp.br .